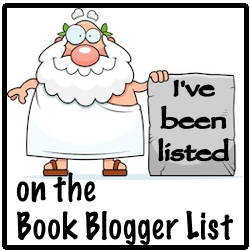 Today I have a review of Death Overdue by Allison Brook, the debut novel in the Haunted Library mystery series. 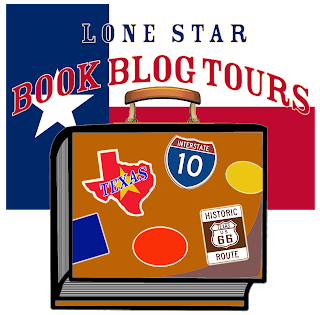 She has also graciously provided a guest post discussing why she chose a library as the setting for this cozy mystery. The medical examiner reveals that poison is what did him in and Carrie feels responsible for having surged forward with the program despite push back from her director. Driven by guilt, Carrie’s determined to discover who murdered the detective, convinced it’s the same man who killed Laura all those years ago. Luckily for Carrie, she has a friendly, knowledgeable ghost by her side. But as she questions the shadows surrounding Laura's case, disturbing secrets come to light and with each step Carrie takes, she gets closer to ending up like Al. 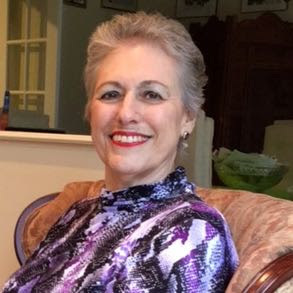 Allison Brook is the pseudonym for Marilyn Levinson, who writes mysteries, romantic suspense, and novels for children. She lives on Long Island and enjoys traveling, reading, watching foreign films, doing Sudoku, and dining out. She especially loves to visit with her grandchildren on FaceTime. Why a Library? Why a Librarian? One of the most important decisions a cozy mystery author must make is choosing a hook and accompanying setting for her new series that appeal to both her publisher and her readers. Series featuring crafts have been very popular. Food-related series abound. And so I thought I’d venture farther afield to find another milieu that would appeal to cozy lovers. I was at a drumming contest in my library’s beautiful park behind the parking lot when I suddenly had the basis of my new series. My setting would be a library. My sleuth the librarian responsible for selecting and running the many programs and events that libraries present nowadays. Cozy mysteries are set in small villages where residents know one another. They’re familiar with one another’s strengths and foibles. And a library is a microcosm of a village. Patrons come to the library to check out books and films. They attend programs and classes, chat with neighbors and library workers. Often, the library is the heart of the village. A place where anyone and everyone can go—some for the peace and quiet the library setting provides. I love the idea of my sleuth Carrie Singleton in my Haunted Library mystery series being Head of Programs and Events of the Clover Ridge Library. Her position allows her to mingle with the many library patrons and to meet new people who present library events. In DEATH OVERDUE, the first book in my series, Carrie’s first big program features a retired homicide detective who claims to have solved a cold case he failed to solve fifteen years earlier. As the detective is questioning members of the audience about their relationships with the victim, he keels over and dies. Feeling responsible for his death, Carrie joins forces with the first victim’s younger son. Together they set out to find the killer or killers. Like the centuries-old residences, restaurants and galleries built around Clover Ridge’s Green, the library was once a large private home. I decided it would be fun to add a ghost—of someone who used to work there and knows many of the library’s secrets. And when a gray cat with a bushy tail jumps into Carrie’s car as she’s about to go to work, she discovers Smoky Joe is the friendly sort and a purrrfect Library Cat. 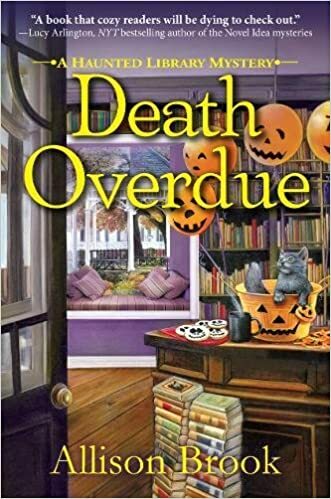 I am a huge sucker for cozy mysteries that involve books in any way, and because I'm also a librarian, when those stories also feature libraries and librarians, I can't get my hands on them fast enough! I absolutely love visiting these little communities where there is a small, locally owned business for anything you could ever want or need, everyone knows everything about each other, and the librarian is the resident expert in homicide investigations! With just a hint of paranormal activity, this is a wonderfully light and fun choice to get into the Halloween spirit. Evelyn, a former librarian, haunts the library, but she is delightfully pleasant and extremely valuable in helping Carrie transition into her new role as the head of programs and events. While she only makes her presence known to a few people and doesn't come into the story very often, she is a great addition that I look forward to seeing more of as the series continues. Although well written, the pacing would slow way down with so much description on the minutia of everyday life. I also started to feel that solving the mysteries became overshadowed by spending so much time in Carrie's new life and job with not much information to go on as to why Carrie would have taken it upon herself to look into these murders in the first place. Needless to say, these details do a great job contributing towards the upbeat and lighthearted nature of traditional cozy mysteries. When we are privy to the investigation, very few clues are revealed as the story unfolds, creating a well layered and plotted mystery that has to be read to the end in order to find out whodunit. Overall, this was a well done debut. I can't wait to see the development in Carrie's character, the other situations she will find herself in, and what other programs she will create for the people of Clover Ridge to enjoy. I was thoroughly charmed by this haunted library and will definitely be checking out more of it! Enter for your chance to win a print copy! 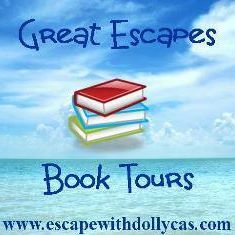 Many thanks to Great Escapes Book Tours, Crooked Lane Books, NetGalley, and especially Allison Brook! It was a pleasure providing a review! Great Post! Thank you for being part of this tour!